National Instruments gần đây đã công bố hệ thống NI sbRIO-9651 trên mô-đun (SoM) được cung cấp bởi Xilinx Zynq-7020 lõi kép Cortex A9 + FPGA SoC, dựa trên kiến trúc LabVIEW RIO được sử dụng trong các sản phẩm như myRIO và đi kèm với giải pháp trung gian hoàn chỉnh như NI Linux Real-Time OS. 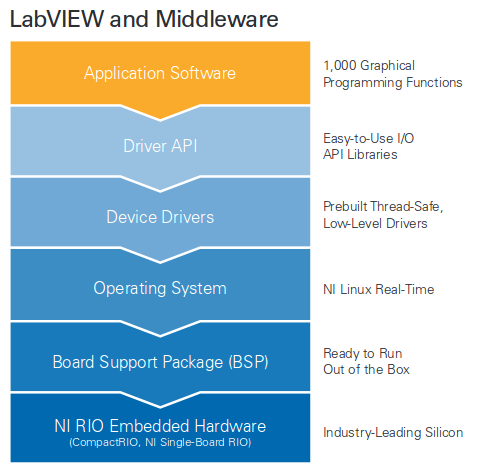 NI SoM is said to integrate a validated board support package (BSP) and device drivers with the MI Linux Real-time OS. And instead of programming with HDL, Labview system design software provides a GUI with functions and IP blocks for both processor and FPGA logic development. There’s also a development kit with a carrier board with Gigabit Ethernet, USB Host, USB Device, SD, Serial, and CAN bus, featuring PMOD connectors to support various I/O modules, and with a digital prototyping area with a selectable voltage level for custom I/O integration. The carrier board design files will be provided for reuse in custom designs. 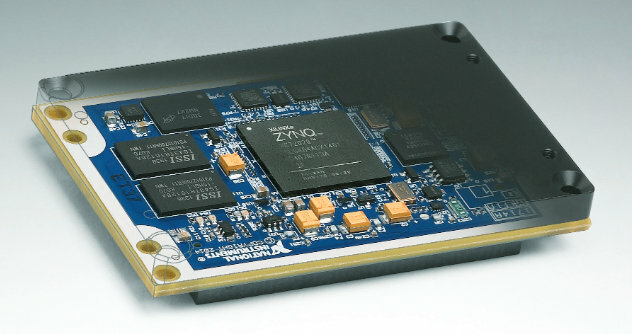 Since the devkit is not available right now, you might have to use compactRIO system to develop with the SoM initially.